Who Has Liability in a Dog Bite Case? Dog attacks can be devastating, especially when the victim is a child. Dog bite victims may have legal recourse through a dog bite injury claim. A settlement may provide for medical bills, lost wages, and emotional suffering due to the injury. However, in order to obtain a settlement, someone must be held responsible. Most homeowners insurance policies cover dog bites as part of their premises liability policies. If an individual is injured by a dog on the owner’s property, the victim may be able to bring forward a claim against the owner’s insurance company. 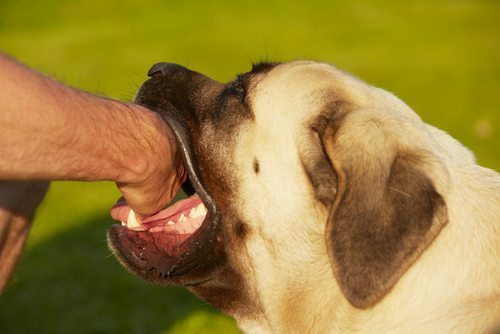 In cases where the dog’s owner was renting from a landlord, it becomes more difficult to determine who can be held legally liable for the bite. Renters insurance may cover the damages, but many people do not have it, or the insurance is insufficient to cover the costs of the attack. In some of these cases, courts have found landlords to be legally responsible, particularly in situations where the landlord knew the tenant had a dangerous dog or the landlord failed to repair a gate that allowed a dog to get out of an enclosed space. Although it is uncommon that a court would hold Animal Control responsible for a dog attack, it is possible. This is especially true in cases where it can be clearly demonstrated that Animal Control neglected to properly enforce the area’s laws or failed to remove dogs from the area that were known to be dangerous. Rarely, a police dog will attack or bite an individual. The law may give law enforcement or military branches protection from dog bite claims, except for in cases of excessive force or for injuries that went above and beyond the scope of appropriate law enforcement. These types of cases can be quite challenging, and typically the city or county is held responsible instead of the law enforcement branch. If you or a loved one have been injured by a dog attack, it is important that you seek medical help and legal assistance as soon as possible. A skilled dog bite attorney can help you determine who may be held responsible for the injuries so you can effectively bring forward a claim for damages. At Appalachian Injury Law, we have worked with hundreds of dog bite victims, and we can provide you with the experience and resources you need to see your case through to its conclusion. Contact us today for a consultation to discuss your legal needs by calling (706) 515-1995 or toll free at (800) 393-8595.